So, What IS pH, Anyway? Does pH Balance Really Matter? Many people don’t realize how important correct pH balance is to their hair. The scalp is a very sensitive area. Not the most sensitive, alright, but it does have a dramatic effect on our hair when it’s out of balance. Our scalp and hair’s healthiest pH level is between 4.5 – 5.5. That means that when we use products which throw our system off balance, the outcome can be disastrous. This is true especially when using those products daily, as the label usually recommends. The pH scale – from most acidic to most alkaline. pH stands for power of Hydrogen. It indicates acidity, or lack thereof. The system was developed in 1909 by a Danish chemist named Søren Peder Lauritz Sørensen and was later revised in 1924. The scale is measured out of 14 units (molecules per liter of hydrogen ions). Anything under 7 is acidic (0-6.99) while anything 7 and above is alkaline or basic. The intestines have amazingly varied levels (1.5-8.5) since that is where food and drink are broken down. Different areas of the stomach have very different purposes, and so they have really strange levels of pH. In general, there are a lot of variables and factors that can lead to high levels of acidity in our bodies. But the simplified version is that our cells contain minerals that in turn use electrolytes to help oxygenate or get rid of excess waste, i.e. acidity. When we lack these minerals (calcium, magnesium, potassium and sodium), specifically in our kidneys, our bodies cannot deal with the excess acidity levels. Consequently, our body develops a negative pH balance. This may lead to a series of negative health issues internally, externally and even mentally. Yet thankfully it can be treated with natural products and through natural techniques. Indeed, studies have shown that most of the common health ailments that affect us can be linked to a high level of acidity in the system (or a low pH balance). So treating this issue is the first step towards recovery. And in the case of a healthy person (someone with a relatively neutral pH level), it’s the best way to avoid illness in the first place. pH balance does not just have an affect on the general quality of our health over time. It’s also directly related to most of the aspects of beauty that we hold so dearly and often spend great sums of money on trying to sustain, maintain or regain over time. 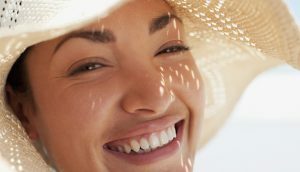 By watching what you eat, drink, and how you live, you can impact your skin and hair health. Good skin and hair is a lot easier to achieve than many of us are aware of. It’s simply a matter of being informed. A healthy pH balance means a healthy complexion. There is some controversy in the healthcare industry about whether one’s pH balance is truly as important as certain people make it out to be. While some seem to shrug it off like some sort of health food trend, there are a growing number of doctors and healthcare practitioners who agree that a person’s pH balance is deeply important to their general well-being and plays an important role in determining the quality of health in everyday life. So, because we’re a blog that’s dedicated to everything natural and holistic, we’re going to go with the ‘it is important’ option because of the holistic knock-on effects that can ultimately be linked back to having an unhealthy pH level. This means that being too acidic or too alkaline can both have adverse effects on your health in general. When we have an imbalanced pH level, our bodies essentially become breeding grounds for harmful germs and bacteria. This, in turn, leads to a variety of illnesses, ailments, and diseases. By restoring our body’s natural pH balance to anything between 6.8 to 7.2, we can enable our immune system to work more efficiently at eradicating these harmful bacteria before they cause any health issues or the formation of diseases and ailments from taking root in our body. It’s best to think of our bodies pH balance much like we would that of a swimming pool’s – albeit a rather simple metaphor. When the water is too acidic, the formation of algae and other bacteria starts to occur. This causes a buildup of foreign organisms which aren’t always good for you. On the flip-side, once a pool’s water becomes too alkaline, the water begins to calcify. This makes it cloudy and impure due to an excess of minerals. So if we want our bodies to run smoothly and effectively, it’s best for us to maintain a healthy pH balance over time. Failing to do so can lead to a wide variety of health issues that could otherwise be easily avoided. Just like our bodies have a natural pH balance, so too do our hair follicles. This helps them to remain healthy and strong over the course of our lives whilst preventing the buildup of fungi and bacteria that can ultimately lead to issues like inflammation and infections. In general, our hair follicles have a more acidic base at around 4.5 – 5.5 on the pH-level spectrum. This acidity is due to a thin layer of oil (sebum oil), salt and water that occurs on each hair follicle on our head which we refer to as the mantle. This mantle helps keep cuticles down and protects hair from drying out or becoming frizzy and brittle. Unfortunately, most of the conventional hair care products that we use on a regular basis to wash our hair are not at the right pH balance (in the 4.5 – 5.5 range). Therefore, they tend to strip this thin mantle layer from our hair follicles, causing them to become dry, brittle and frizzy or leading to breakage over time with consistent use. On top of this, most of the conventional hair care products that we use tend to contain chemical ingredients (such as phthalates, parabens, ‘fragrances’ or a variety of other chemical-based solvents) which help to increase the product’s ability to lather and remove dirt and grime from our scalps. However, this doesn’t just remove dirt and grime, but also stuff our hair needs to remain strong and healthy. So it’s important for us, or at least those of us who actually care about the quality and health of our hair, to ensure that we use hair care products that are made with ingredients that are more suited to our hair’s natural pH balance. This can preserve the health and strength of our hair follicles. 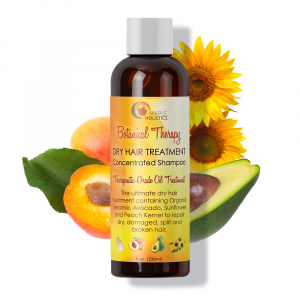 It can also enable better growth and keep our scalp free of fungi and bacteria at the same time. It’s a lot easier to achieve than it sounds (some may squint at the chemistry of it all and simply shrug it off). But the truth is that you should stick to natural products and ensure that you use the correct measurements of both acidic and alkaline ingredients in your own DIY shampoo recipe or simply buy pH-balanced hair care products. Doing so can effectively reverse a great deal of the damage that naturally occurs to our hair over time. 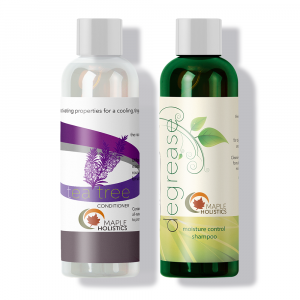 It can also reverse the damage caused by using incorrectly-balanced hair care products. 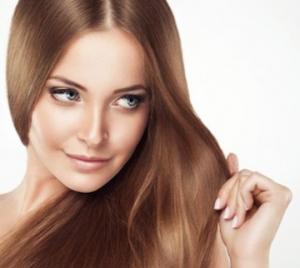 Help fight off dry, frizzy hair by maintaining your pH balance. For a long time I was suffering from dry, frizzy hair. I tend to have naturally oily hair, so it was strange that my hair was becoming dry and brittle. For a while I blamed it on the weather and thought it had something to do with the hot, dry summer. But after trying the third bottle of a different shampoo brand and getting the same results, I did some research. I found out about pH balance and how it could affect the overall strength and health of my hair. I immediately chucked out all my conventional shampoos and conditioners and started looking for products that were pH balanced. But I didn’t stop there – and neither should you. Using hair care products with the correct pH balance is important for achieving a balanced head of hair. But you must analyze your entire diet to ensure that your body’s pH balance is healthy. 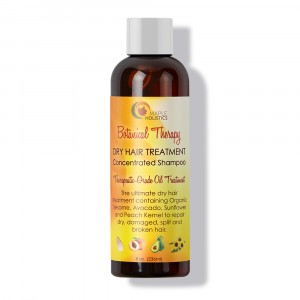 Otherwise, the effects of the shampoo will be overshadowed by an unbalanced body, which has a direct affect on hair quality. Since monitoring my own pH balance (as much as I can at least), I’ve seen tremendous changes not only in the quality, health and strength of my hair, but also in my overall health. Once we manage to balance our body’s pH level, we lay the foundation for a strong and functioning immune system. We also allow our body to regulate itself and flush out toxins more effectively. This has a massive impact on the quality of our organ health (including our skin and hair) as well as our mental and emotional states. It’s the easiest way to ensure a healthy body and mind without harmful pharmaceutical drugs or costly and dangerous surgeries. Lemon juice is a natural solution for balancing the hair’s pH levels. pH levels can affect many areas of your body. It’s best to keep the levels in check so you know that your body is functioning properly. The pH scale ranges from 0-14. Any substance below 7 is considered an acid, and any substance above 7 is considered an alkali. Ideally, you would want to test your hair product’s pH level at home (using a pH strip, available at any pharmacy), to see if that product will in fact give you the desired result. Keeping your pH levels in check means helping your body fend off unwanted intruders: dirt, fungi, bacteria, chemicals, etc. 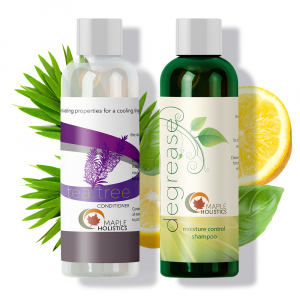 Among the best natural products for hair are lemon juice, apple cider vinegar, and aloe vera (to name a few). Each of us has a slightly different hair and scalp makeup. We eat differently, have a different genetic background, and come from different environments and locations. What works for you may not work for another. These factors change as well – and often. Hard and soft water also play a part in aiding or hindering the effects of hair products. It is best to aim for something that personally fits your hair and scalp. Therefore, it isn’t uncommon for those interested in keeping their hair healthy to make their own concoctions at home. When executed properly, a personal shampoo and conditioner can do wonders. They are also usually relatively cheap, since they are home made, and they can change the way you think about your hair’s health. Get your hair game on point. Many times, people might feel they are doing their hair a favor by buying some over-the-counter, store-brand shampoo and conditioner. Yet they are actually setting themselves up for scalp trouble. It feels good at first, but then things change and throw the system out of whack. Dandruff, itchiness, redness, dryness, discomfort, and other “lovely” symptoms are all usually the result of improper pH balance. Interested in taking good care of yourself and of your body? Consider putting in some effort, doing the research, and finding out which products really do work best for you. Remember, the substances and ingredients you put into your scalp may quickly find their way into your bloodstream. I know that I for one do *not* want all kinds of chemicals and preservatives in my system. Do you? This is why getting educated on the subject of scalp and hair health is key. We all know what a bad hair day can do to a person’s mood, and if you want to treat yourself right – go natural. Check out our Lush, Dove, and Too Faced features here at Maple Holistics! 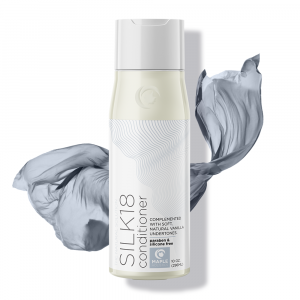 Keeping pH levels in balance helps the moisture and positive ingredients in hair products remain locked inside the hair, thus providing it with the desired effect. 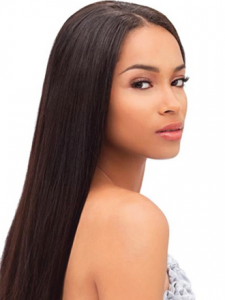 When you use a product that is right for you, you are making sure that your hair remains hydrated and vital. Dryness and flakes are a pain to get rid of, and it’s best not to start yo-yo’ing back and forth. Scalps and hair may also change due to weather. Some people find they need to use one recipe for summer and another for winter. It is definitely worth checking out. Like I said, a bit of research and self-evaluation will go a long way. That way, you will be confident with what you are putting on your scalp and in your body. Your hair will thank you. Guaranteed.